We are specialist suppliers of promotional event banners in all shapes and sizes. We have been supplying these since 2003. Now, if you are shopping for premium quality discount printing of pull up banners then we have a complete range for you to choose from. The regular and most popular size are 2000mmH x 850mmW. But, if you require a wider size then we have that base covered as well. Outdoor vinyl banners can be produced by us on a premium grade vinyl and finished with sewn/stitched edges, eyelets punched in as well. Vinyl banners can be single sided or printed double sided and printed at any length you wish. Our signage installation team can cable tie these to fixed fence structures for you too. We offer a complete printing and installation service. Choose a proven supplier with a long and successful history of supplying quality signage and printed collateral. Whether your campaign is targeted at passengers, customers, retail shoppers we have the most durable and flexible banner options for you. Even if you require tear drop banners or flags for expos, sales conferences or exhibitions, we have the printed solution. 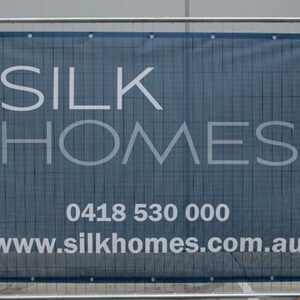 Call our sales hotline now on 1300 663 812.